Magic carpet ride, anyone? 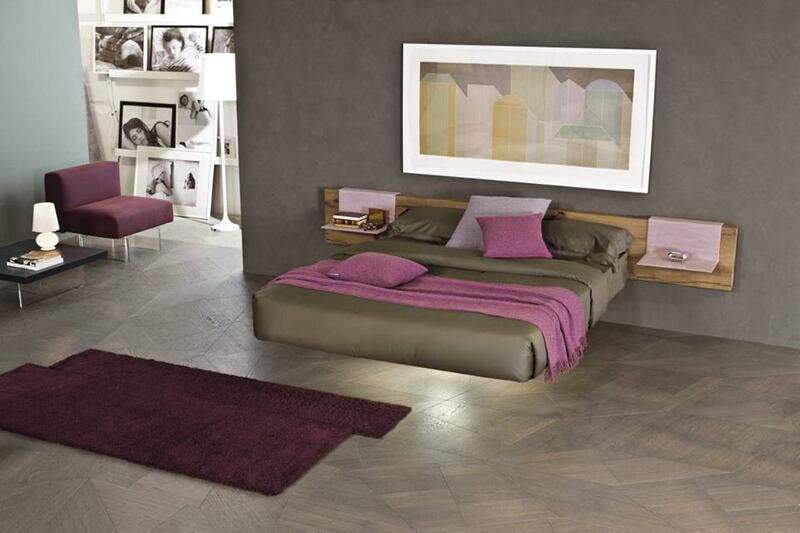 Lago's Fluttua is a height-adjustable, "floating" bed that forgoes the superfluous frame for a clean, suspended look. The secret to the suspension is a central leg and multi-layer base combined with a solid iron structure anchored to the wall. The Fluttua comes in the traditional rectangular shape, of course, but it's also available as a round bed. You know... if you're going for a swinging '60s, Austin Powers kind of look. The only downside? I'd have to rethink my current under-the-bed storage strategy. Totally worth it!